PlayFrank is getting ready for a massive Halloween celebration, and you’re invited to the party. By making deposits this month you could get your hands on hundreds of bonus spins, super spins and a generous reload bonus. Read on to learn how to participate! 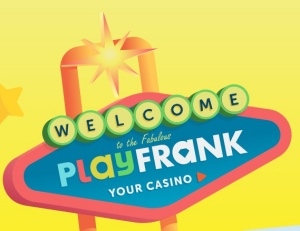 PlayFrank is back with a bunch of new bonus spins offers. Get ready to celebrate Halloween with a big range of promotions throughout October! Super spins are worth £1 each! The bonus spins and reload bonus have a wagering requirement of x40, and you can read the full terms and conditions at PlayFrank. Pumpkins are one of the essential items of any Halloween party, and PlayFrank is hosting a unique competition that lets you show off your carving skills. Send a photo of your pumpkin creation to receive 10 bonus spins on Halloween Jack. The top 10 submissions will also get up to 300 extra spins in prizes! Click on the link and register an account at PlayFrank for the full terms and conditions.